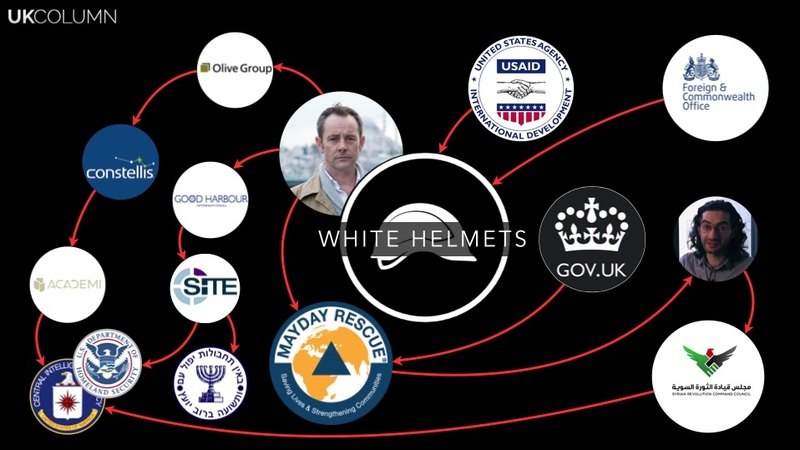 Never in propaganda history has a group like the “White Helmets” been so glorified by the elite, or received so many awards from institutions acting as extensions of Anglo Zionist hegemony. Not one media outlet pursued the subject, preferring to divert onto more comfortable issues that did not challenge the iconization of the White Helmets that has been the default position since the establishment of the group in 2013 in Jordan and Turkey. The White Helmet drivers would take the injured or dead bodies to the Turkish border. Many of the injured had light wounds, nothing that needed hospitalization but the bodies would come back without organs. The bodies, dead and alive, would be inspected in the towns on the borders with Turkey before being taken by Turkish vehicles to the hospitals but if the injured civilian was a child or young and strong they would be taken directly to the hospital in Turkey because their organs had greater value. The bodies were worth $2000 dead and $3000 if alive and this market was dominated by the White Helmet operatives who profited from cross-border organ trafficking. The threat of organ theft hung over the Syrian people during the almost five-year occupation of East Aleppo districts by the armed terrorist groups and their White Helmet auxiliaries. Families spoke of hiding their children if they were lightly injured to prevent the risk of them being abducted and taken to one of three hospitals – Omar Abdulaziz, Al Quds and Zarzour – that allegedly specialized in organ theft in East Aleppo. Fascist foreign doctors were operating in these three hospitals and were in charge of organ extraction. The evidence against the White Helmets is mounting on a daily basis and will only increase as Idlib is liberated or a political resolution is achieved in the last Syrian province effectively controlled by Hayat Tahrir Al Sham (HTS) a Zionist rebrand of Al-Qaeda. Despite this, Western corporate media and NATO aligned think tanks, politicians and NGO’s are stubbornly sticking to the “volunteer hero” script. The Observer recently collaborated with Reader’s Digest to produce a slick homage to the White Helmets “rescued” from Syria by Israel in July 2018. The White Helmets have received an unprecedented number of awards and faked peace prizes, including Hollywood Oscar 2017 (one win, one nomination in 2018), while they also have been nominated for the Nobel Peace Prize for three years running. While the fake media is blaming Russia for the smear campaign against the White Helmets, the evidence against the White Helmets is “unsubstantiated and does not stand up to scrutiny”. Child exploitation, abuse, human- and organ trafficking – which often goes hand in hand with the former – should never be tacitly condoned or covered up and must always be investigated or we have fallen into a moral vacuum from which there is no escape. The Global Illusion of the Anglo Zio-Nazi warmongers ? I LOVE the BLACK HOLE ZOO NEWS. ALL OF AMERICAS NEWS MEDIA LIES TO OUR AMERICAN PUBLIC EVERYDAY ALL DAY . THEY ARE COVERING UP FOR THE EVIL CLINTON CRIME FAMILY .